Throughout history, God calls out to His people asking one simple question, “Do you love Me?” He offers us the most magnificent sort of love available, and wants a relationship with people who will respond with a love that mimics His passion. Christianity isn’t really a boring “let’s go to church and sit in a pew for an hour” sort of religion. It’s a romance with the creator of the universe; a “fairy tale” about the Prince of Peace, Who laid down His life to rescue His bride from captivity to sin. Also available in the Amazon Kindle Store (currently $0.99 – Amazon doesn’t have an option to distribute for free). 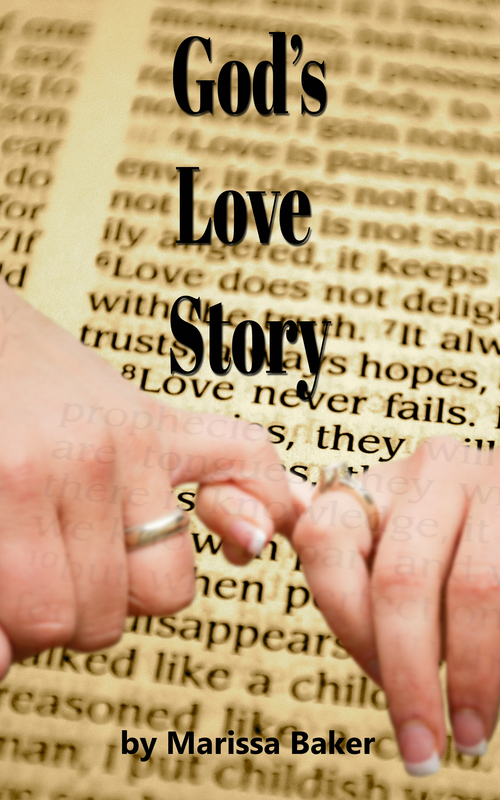 Introduces the idea of the Bible as a love story God is writing for us and with us. Explores God’s love for His people as revealed in the Old Testament. Human marriage as a model of the relationship between Jesus Christ and the Church. Christ’s role as Redeemer, in relation to the story of Ruth and His sacrifice to redeem us from sin. Christ proved His love by dying for us, and that should inspire us to love Him in return. Practical things we can do to prepare for the Church’s marriage to Jesus Christ. Discusses God’s love and concludes the booklet. Ah, Marissa, what a wise and kind-hearted post. Thank you. I am still suffering from repeated experiences of spiritual abuse. Not physical, spiritual. I was unaware this was even a THING until I went through it most recently about a month ago. I am still recovering. This tender view of God is very helpful to me. Thank you! Thank you so much Maria. I always hope my posts and books help people and it means so much to me that they’ve helped you. I’m praying the Lord blesses you and quickly heals your spiritual wounds!